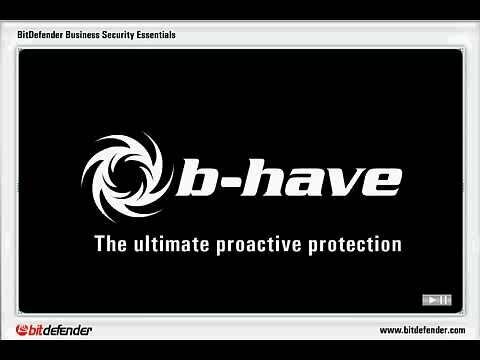 Bitdefender GravityZone Advanced Business Security is a best-in-class security provider for desktops, mobile devices, emails and servers. This solution also combines the security services with a combination of protection and performance into a single platform. It has scored 35 VBSpam awards to be the best in the race of spam detection rates. Also, the user has the option to use cloud-hosted management or can easily deploy the console locally. Bitdefender is a leading security provider for cloud and virtualized platforms, offering efficient intelligent learning mechanisms that deliver threat intelligence in less than 3 seconds across the globe. The company won best performance award in 2015 for being a trusted security solution provider with exemplary features like low system load. The firewall, IDS, and web filtering capabilities are essential to protect against Internet-based threats such as hacking and phishing. Bitdefender GravityZone Advanced Business Security gives you the power to remotely restrict or block employee access to certain applications or web pages. Support is available in English 24/7 through phone, email, or chat. Q. Does Bitdefender Endpoint Security Agent connect to Bitdefender Cloud Servers outside of my organization? Yes, it does. Our Endpoint Security inherits the latest technologies developed by Bitdefender, some of which are using off-premise scanning technologies for enhanced performance and optimal footprint. The outmost benefit brought by our off-premise technologies is that any endpoint across the organization will be constantly hooked to this updated repository hosted by Bitdefender. Moreover, the Bitdefender endpoint agent leverages proprietary caching mechanisms which help to minimize the traffic and optimize scanning performance. Q. How does off-premise scanning work? The files that are scanned and checked with Bitdefender Cloud Servers are only suspicious Portable Executable (PE) files. Bitdefender Endpoint Security Agent creates a file fingerprint, an abstract signature that uniquely identifies the file and that signature is checked against Bitdefender Cloud Services repository to see if it is potential malware or not. The signature does not contain data from the actual file. The file itself does not leave the computer or the premises of your company. Q. How is my company data treated? No file or part of file is leaving the premises of your company. It is only the abstract file signature that is checked against Bitdefender Cloud Services repository and only for suspicious Portable Executable (PE) files. Any files of your company containing company data (for example documents, spreadsheets, databases) are not subject to this procedure. Q. Does off-premise scanning comply with data protection regulation? Our Company has a great concern regarding the data protection and privacy. Bitdefender treats your personal data in accordance with current applicable legislation. As explained above, Bitdefender Endpoint Security Agent off-premise scanning with Bitdefender Cloud Services is not processing company data in any way by this procedure. Q. Where are Bitdefender Cloud Servers located? Off-premise queries are done to the nearest Bitdefender Cloud Servers available to you. Currently our server farm is spread in Japan, South Korea, Germany, US East Coast, US West Coast and Romania. Only in extreme and rare situations, where the regional server is not answering, another nearest server is used until the communication with the closest one is reestablished.